- Bitcoin price is consolidating losses above the USD 6,500 support. - Ethereum price is struggling to break the USD 215 resistance level. - Ripple gained more than 4% and traded above the USD 0.470 resistance. During the past few hours (UTC 08:30 AM), there were mostly range moves above the USD 6,500 support. BTC/USD must clear the USD 6,600 and USD 6,650 hurdles to climb higher in the near term. Similarly, ethereum is trading in a range above the USD 200 and USD 205 support levels. On the other hand, ripple gained bullish momentum recently and climbed more than 4%. It seems like bitcoin price is forming a decent support base above the USD 6,500 level. On the upside, BTC/USD is facing a couple of important resistances at USD 6,600 and USD 6,650. A proper close above USD 6,650 will most likely push the price above the USD 6,700 resistance. On the downside, buyers are protecting the USD 6,550 support, below which there is a strong support near USD 6,500. If the price fails to stay above USD 6,500, there could be a downside extension towards the USD 6,400 level. Ethereum price remained well supported above the USD 205 support. ETH/USD made an attempt to surpass the USD 212 and USD 215 resistances, but it failed. It seems like the price may continue to consolidate in a range above the USD 200 support before the next move either above USD 215 or below USD 200. Above USD 215, the next resistance is at USD 225, and below USD 200 the price may test USD 185. Bitcoin cash price is slowly moving lower towards the USD 450 support. BCH/USD recently failed to break the USD 465 and USD 470 resistance levels, which sparked a downside move. Should there be a break below USD 450, the price may test USD 425. Ripple price gained traction recently after forming a solid support at USD 0.450. XRP/USD climbed above the USD 0.470 resistance and it could continue to move higher towards USD 0.490 and USD 0.500 in the coming sessions. ZRX performed well during the past three sessions and climbed more than 20% on Coinbase listing. A few other altcoins gained between 7%-15%, including BAT, PIVX, NANO, ZEN and MGO. To sum up, bitcoin may continue to consolidate in the short term before the next move, which could be either above USD 6,650 or below USD 6,500. 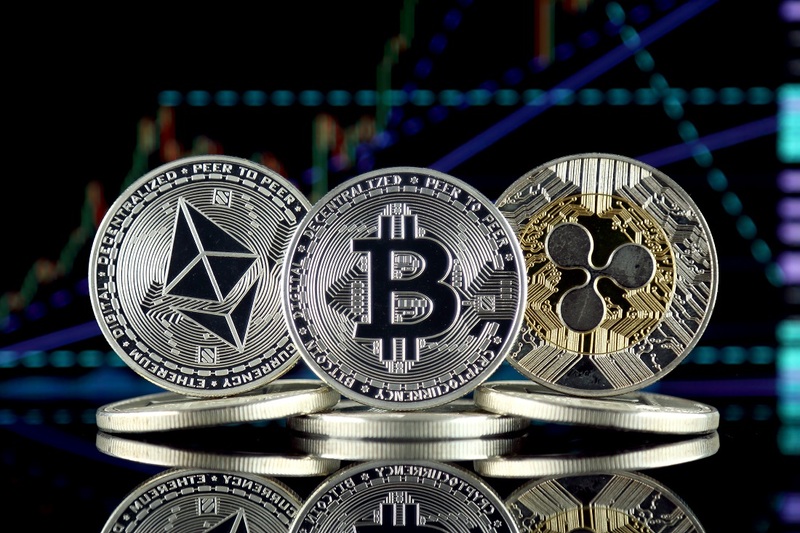 The overall price action is positive, indicating more gains in BTC/USD, ETH/USD and XRP/USD in the near term.